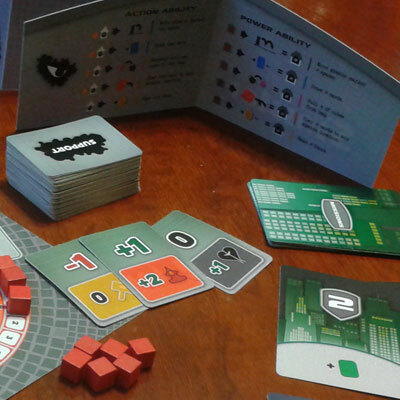 A game of super-powered betrayal. 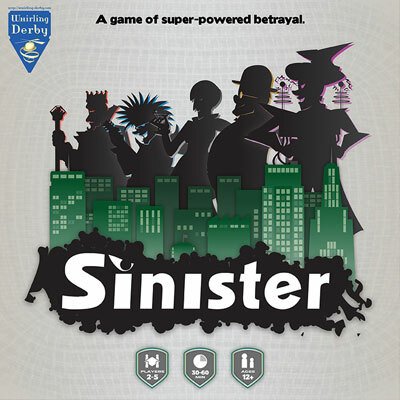 Sinister is a hidden identity game for 2-5 players. 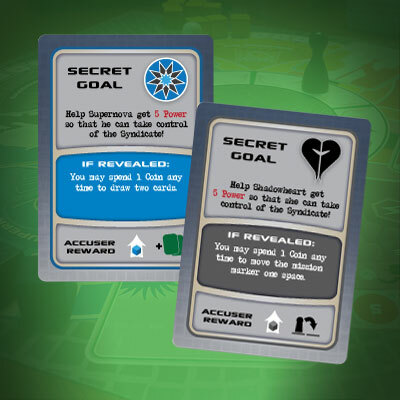 On your turn, you will take a special action related to one of the five Villains, such as gathering money or contributing extra support cards to a cause. Then, two villains will team up on a mission, and everyone will have a chance to secretly contribute positive or negative support cards. If you're too transparent with your support, another player can guess and reveal your identity, making it harder to grab the victory. 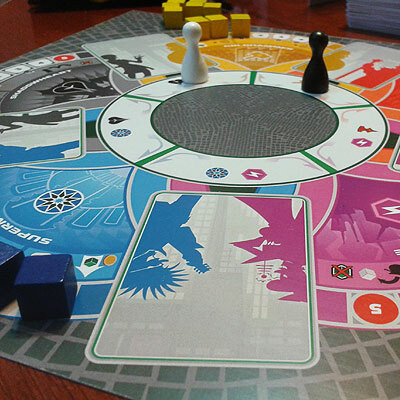 Can you control the flow of the Syndicate's resources while keeping your goal hidden from the other players? Cue the evil laughter and find out! ★ Winner of The Game Crafter's Mystery Design Challenge! Elegant, simple, and great. Being able to adjust where the pawn lands is great and being able to help or sabotage missions takes one of my favorite elements of 3012 and puts it into a game which doesn’t overstay its welcome. There is no clear strategy to victory although plenty of paths to defeat.